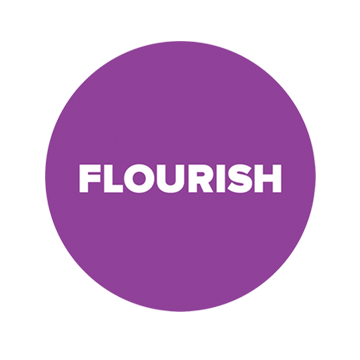 At Flourish we work with a range of clients, from small family run businesses to large global companies. Irrespective of their size or sector, exceeding their expectations is our priority. Working with Flourish was an absolute pleasure (as well as great fun)! Flourish were efficient, highly responsive and extremely meticulous. We genuinely could not speak highly enough of the Flourish team. Miss you already ladies! The whole experience was seamless from beginning to end. All the guests had a fabulous time & were delighted with every aspect of the trip. I would have no hesitation to work with Flourish Marketing again… Cannot recommend them highly enough. This was a once in a life time trip which was made even more special by the excellent effort made by Tiffany and the team. I would highly recommend Flourish Marketing and Events and would book all future events through them. Fantastic trip organised by Tiffany who was extremely professional and fun at the same time. It was clear from the moment I received the itinerary this was going to be a great trip. Tiffany was the perfect host, and could not do enough to ensure you had the trip of a lifetime. I have been on many trips, with many events companies…none come close to the atmosphere and experience Tiffany created. I would recommend Flourish to anyone and everyone. Brilliant experience. Thank you so much for your help and support today. The event went very well thanks to your efforts. Not having to worries about the AV, room, food and drinks was a great load off my mind today and allowed me to focus on the actual event. Thank you once again, a great job. The event in Vegas had the perfect balance of organised activities and free time to make the weekend feel busy but not rushed. Excellent planning by Tiffany who made the trip all the more enjoyable with her bubbly personality and efforts to make sure every single person had the best time possible. The event organised by Flourish was second to none. From the minute we started to get emails about the trip to the return flight home we were looked after like kings and queens. Nothing was left to chance and the way that the Flourish team interacted with our group was brilliant. Highly recommended A+. What an excellent trip, which was very well organised. I was impressed with the co-ordination of 40+ people, and everyone had a brilliant time. Amazing, haven’t laughed (and drunk) so much! Tiffany and her team were brilliant throughout the weekend – looking after all of us, making sure everyone had an amazing weekend. With nearly 50 people, the organisation was immaculate. I will definitely be using Flourish for future events! Yet another well organised event from Flourish. Nothing is too much trouble and the clients do come first. At Uplands we pride ourselves on exceeding our customer’s expectations and we have received many awards for this. Flourish and specifically Helen, managed to completely exceed my expectations, and some! There service is delivered in a “simply doing our job” or a “its what we do” way. Well having been on many of these events, you stand above the rest. A well organised and well presented event and a great opportunity to share ideas with colleagues from across the industry. Very encouraging to see Sony’s ongoing committment to service and quality, demonstrated in the Xperia Care presentation, which we will be following up on. A thoroughly professional events management Company that paid close attention to the finer details. One of the best (if not the best) corporate hospitality events I have ever attended! Thank you so much for such a fantastic time! One of the best and well organized trips I have been on in my 28 years in the mobile industry. We had the most amazing trip to Mallorca thanks to Flourish. Well thought out start to finish. I feel priviledged to have been taken and to have shared the experience with a great group of people! A thoroughly well organised event that genuinely showcased the Z1 and helped build and maintain the relationships between all those that attended. I have experienced corporate hospitality all over the world for the last 30 years. It has to be said that as a guest on this trip it is plain to see that Tiffany and her team at Flourish really have their finger on the pulse! The itinerary was run so well and we never wanted for anything. I don’t know how we managed to cram so much in without feeling rushed. It all went so smoothly. I know I will be using Flourish for my clients now I have been on the receiving end of what they do. First class work and so friendly. Great work Tiff – well done! An enjoyable day that enabled good networking with other providers and an opportunity to fully understand the power of Sony as a Brand. A great team who organised a great event. Nothing was too much trouble and was well organised. Thank you. Our recent company trip organised by Flourish Marketing was a huge success. It was perfectly planned, catered for 40+ people of varying ages and went without a hitch. Tiff and the team did a great job and made the whole weekend one to remember for all the right reasons. I had an outstanding weekend away with Flourish, no task was ever too much for them and they ensure that every member of the team was having an awesome time, I would highly recommend them to any corporate business thinking of taking their team away for a few days”! Top Class Company! These guys were AMAZING… Nothing was too much of a problem, whilst putting together a package that catered for everyone! Thanks guys! It has been a real pleasure working with Flourish on yet another successful event. Their attention to detail and professionalism is by far the best you could ever receive! I look forward to working with them in the future. It was a fantastic event which gave me experiences I wouldn’t otherwise have in my life. I thoroughly enjoyed it. Flourish always offer us the best events and superb event management they are a friendly team and always on hand to ensure the event runs smoothly from start to finish. Excellent ,really good fun ,super place Sony now have the top 2 trips I’ve ever attended. Fantastic event….and I actually did learn a massive amount about using the camera on the Z1. Never before have I taken an underwater video with a Smartphone. Thanks Tiff and team. Flourish marketing were wonderful to work with and provided a first class service. Thoroughly enjoyable event that the whole team loved from start to finish. A first class trip, well organised fantastic host and great activities. Another fantastic sales incentive trip organised by Flourish, with everything thought of so guest can relax and enjoy their time away. A whirlwind tour of Abu Dhabi that was faultlessly organised with a real attention to detail. A fantastic trip, very well organised and thought out. Thanks. Everything was planned and organised by the friendly staff of Flourish Marketing. Very good company that I would highly recommend. This was a fantastic trip which was well organised and had the fun element. Fantastic organisers in Tiffany and Lucy who got involved in the craic. Completely different and better holiday all around. Had a great time away with Barclays and Flourish. Really well put together from start to finish! Thanks very much! The service from Tiff was second to none….nothing was left to chance, every small detail was covered. For such a large group everything ran so smoothly, highly recommended! Organised, fun and friendly. A great effort from the Flourish team. The girls at Flourish held a brilliant event, everything was handled smoothly. Lovely people. Fantastic event and very well organised, everything was taken care of from start to finish, couldn’t fault the event at all. Tiffany & the team at Flourish were excellent. From the moment of leaving our front door they looked after us. Very well organised and we all had a great time and cannot wait till the next time! It is rare that I attend these events and I now realise that I have been making a huge mistake! The few days were exceptional in every way and an opportunity to meet great people. The trip was planned and designed to include all of the group. We were given choices for the activities so we could pick something we were more interested in individually. Tiffany kept everyone informed of what we could do throughout the trip, which really helped bring the group together as we were from different places. A great trip! Fantastic trip, great location, good food and plenty of fun. Fantastic weekend away, really well organized. Excellent feedback from customers attending event. Fantastic experience for all! The organisation of the whole event was exceptional and well led by our host. It was a great opportunity to get to know Sony. Plenty of thought was given to blending high octane fun and good social time. Without doubt the best trip I have been on. Fortunately this was my second Flourish organised event I was able to attend. A very different one to the original but one that showed again that Tiffany and her Team at Flourish can cater for all needs or wish’s. As always location, event structure and experiences had were top class. Tiffany never fails to ensure you are looked after…… so much so she stayed on an extra night to make sure 4 of us were looked after on the final day of a group of 28! Thanks again Flourish!! Tiff and the events team designed and ran an incredible few days, that gave each and every one of us the opportunity to experience something new. I would like to thank the girls for all of their hard work and making the trip as special as it was for everyone. If you want to make your trip special, use Tiff and her team…..you will not regret it! I just wanted to say a huge thank you for an absolutely cracking event on Wednesday. It was a real pleasure to meet the vendors and your team. I’m hoping that if you run your operations in the same vein as the event, we are in safe hands! I thought it was a great day and the presentations were extremely insightful and worthwhile. I can certainly speak for all of us when I say the evening entertainment was exceptional. I really enjoyed the event, you put on a ‘shamazing’ day, thanks very much. You and the team ‘wowed’ everyone with all the little details, very impressive, we were spoilt rotten! Tiffany Thompson is an asset to the running of the event. She is always so keen to satisfy and ensure that the running of the event runs smoothly. She always has a smile on her face and always tries to accommodate your requirements. Thank-you for another excellent event, well worth our while attending once more. Absolutely fantastic… the planning that goes into these events was clear to see. Superb and unique. Really good venue, food, entertainment. Absolutely functionally enjoyable evening – had a considerate mix of entertainment and business focus. TheEvent’s Functional Applicability of Products Updates and Access to Business Opportunities were timely and excellent. The meal, atmosphere, party and accommodation and all services as usual were excellent. Thoroughly enjoyed. Tiffany did a fantastic job of keeping the day on schedule and ensuring it was a memorable event. Thanks also to Nathan and Chris for making me feel welcome. Tiffany organised a very successful event of which I was lucky to be invited to. It was a great success and Tiffany was fantastic. Made everyone feel welcome and contributed to an unforgettable experience for everyone. Great work. Please, oh please keep me in mind for future events like that one. It was really great and tops any other event I have been invited to, even the Cisco ones. The book! Wow, what a great idea. Thank you all for a fantastic trip and I loved every minute of it, even my 1 minute till take off arrival!! I’m in tears! Have just back to the office and found the book from Reims. Excellent job many thanks. Please pass on my thanks to RIM/Brightstar/Orange and again many thanks to you for organising a great day. Thank you for hosting a wonderful evening. We all thoroughly enjoyed ourselves and the organisation was fantastic. 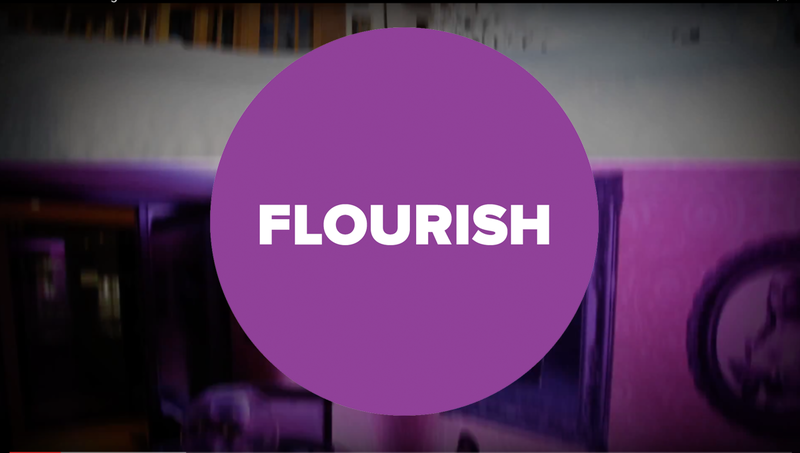 Flourish has worked for Photographic Synergy for over 18 months in which time she has helped with our launch of our new brand / identity, brand awareness and all that goes with that. Tiffany offers an upbeat, driven, eclectic and organised approach to marketing. She is hyper-efficient with a considered approach; allowing time to reflect, measure and brainstorm ideas and campaigns. Always punctual, stylish and keen to offer her knowledge, flair and endeavour. Tiff has her finger on the pulse offering both a contemporary and a ‘real’ marketing solution. Tiffany is fun, professional and a real credit to any team and business. In short, Tiffany’s blend of skills will help your business to ‘flourish’.